For many car rental travellers, Gran Canaria is a popular destination. 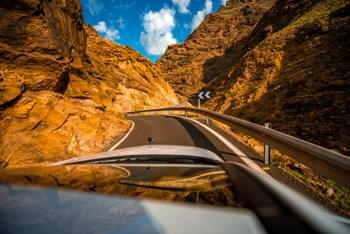 A variety of attractions and destinations make Gran Canaria the ideal destination for your car rental trip. The popular holiday island of Gran Canaria is part of the Canary Islands. It is located in the centre of the archipelago between Tenerife and Fuerteventura. Discover Gran Canaria with a rental car and cross the three climate zones of the island on a journey over the mountain roads from north to south: with the rental car from Arucas, over the religious center of the island Teror, up to the mountains to the highest mountain, the Pico de las Nieves. Also a detour to one of the most beautiful vantage points, the Cruz de Tejeda, which offers a breathtaking view of the Pico del Teide on Tenerife South, is worthwhile. What do I have to pay attention to when renting a car in Gran Canaria? With the fair fuel regulations, you will receive your rental car on Gran Canaria with a full tank and must return it with a full tank again. This is the safest option as there are no further charges for you. With other tank regulations there are usually service charges for the filling of the tank. With a fully comprehensive insurance without excess you are insured against damage and do not have to worry that you missed a scratch when renting. If the trip is suddenly cancelled, the booking can be cancelled free of charge up to 24 hours before the start of the trip. Spain is a dream destination for many holidaymakers. Lanzarote, Tenerife and Gran Canaria offer a pleasant holiday climate all year round thanks to their location. This is why, especially in the winter months, people from all over Europe are attracted to the archipelago in the Atlantic Ocean. Gran Canaria is a very versatile destination. The south with its beaches is very well developed for tourism. Here, those seeking relaxation will find everything that makes a sun and bathing holiday in Spain so beautiful. For an excursion in between you can book a rental car with a car rental company - ideal for a trip to one of the amusement parks and theme parks, to the karting track, or for a day trip to one of the island towns. 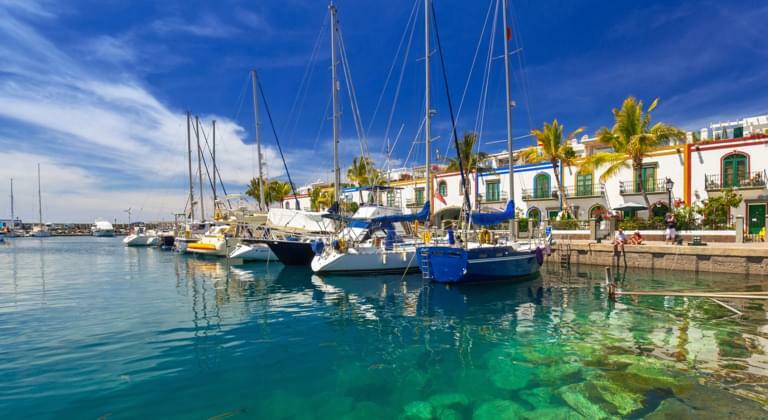 The south of Gran Canaria is especially popular with sun worshippers and water lovers. The long, bright sandy beaches and the gentle surf of the Atlantic Ocean provide ideal bathing conditions. Maspalomas, San Agústin and Playa del Inglés are among the most famous holiday resorts in Spain. The beaches in this region with their unique dune landscape are beautiful. If you want a change from the beach holiday, you can rent a car for a day trip at the local car agency. Especially a trip to Las Palmas in the north is recommended. Whether shopping, museum and church sightseeing or a relaxed stroll over the worth seeing city beach "Playa de las Canteras" - in Las Palmas there is everything for an entertaining day tour. With a rental car from a car rental company, also the sightseeings in the centre of the holiday island are easy to reach. The north of the Canary Island is somewhat cooler and wetter than the south. Las Palmas de Gran Canaria, the biggest city of the Canary Islands, can be found here. This is the place for those who want to relax, far away from the tourist centres of Spain. Many holidaymakers rent a picturesque finca for a reasonable price. Often they are located in very attractive areas. If you prefer this kind of holiday, it is best to arrive by rental car. 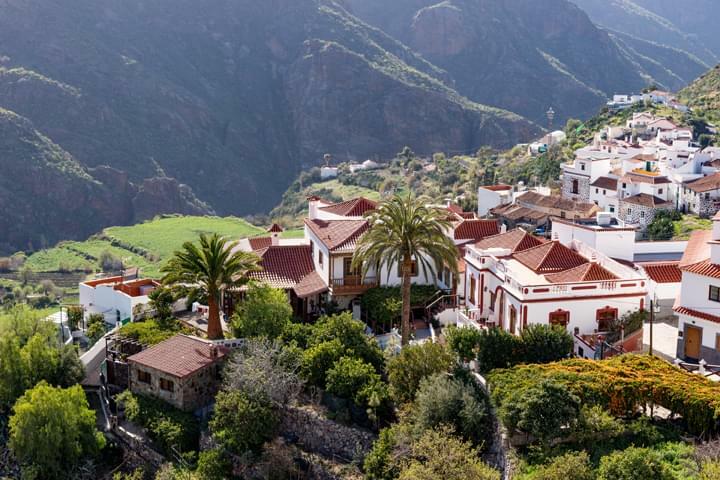 A visit to the mountain village Tejeda with its culinary delicacies at Roque Nublo is something special. Sportily ambitious holidaymakers use this tour for an eventful hike. But it is also possible to get there directly by rental car. 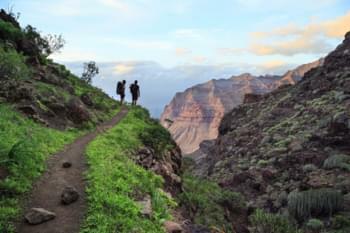 One of the most popular outdoor activities on Gran Canaria is surfing and hiking. The island offers an abundance of selected trekking routes of varying length and difficulty. These activities are available not only in summer, but all year round. An alternative is the popular island hopping. For a day trip to the neighbouring island of Lanzarote or Tenerife, it is worth booking a rental car in order to see and experience as much as possible.